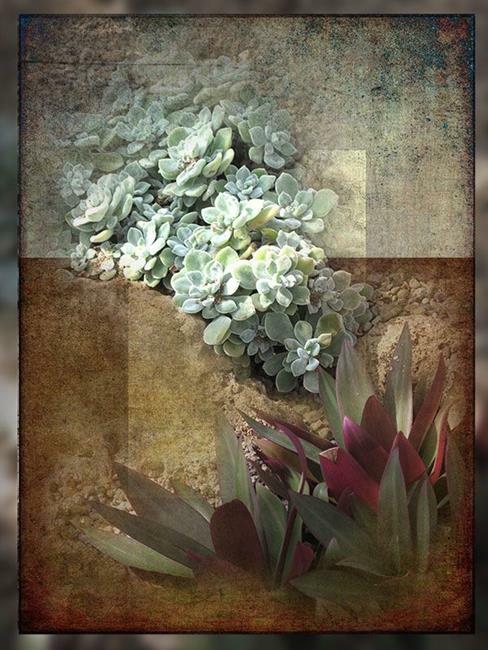 Sedum Green was created from an image I had taken at Phipps Conservatory. There are a huge variety of Sedum. I was surprised how many different varieties! I worked on this image using Photoshop. I layered it with a couple of background images and blended them. I removed parts of the original image so that this could look like the Sedum was coming from a wall. I have entered this in the Flower of the Month Exhibit here at EBSQ. Sedum was the choice for this month.